Check out these totally geeky handmade Pac Man Cufflinks, a great accessory for all the Pac Man and retro gaming fans out there. 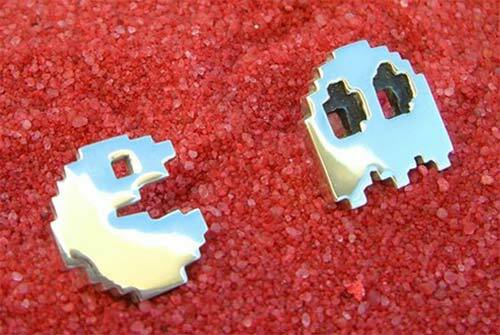 These geeky cufflinks measure 2.5mm thick by 7mm wide by 19mm tall and you can either have a set with one Pac Man and one Ghost, or a matching pair for Pac Man or Ghosts. These handmade geeky cufflinks are available to order online from Beaujangles store over at Etsy for $48 for a set.